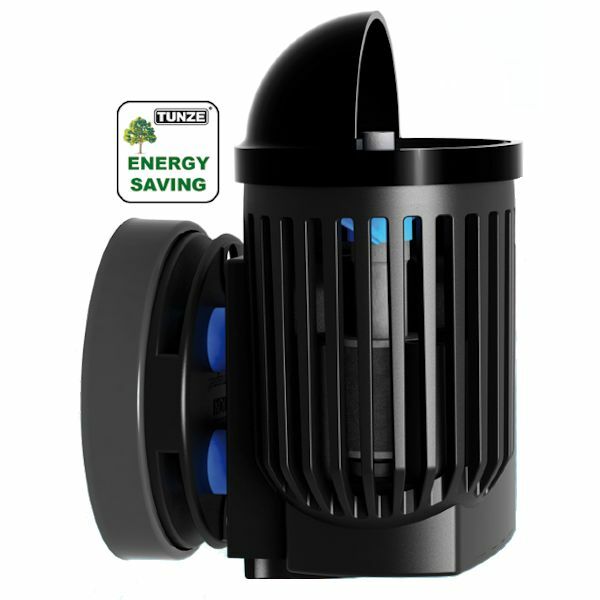 Tunze Turbelle Nanostream 6020 Electronic was designed to be hidden behind rock work and not on display like what happens with most pumps these days. They point vertically, shooting water directly at the deflector, which pushes the water in a horizontal direction, more or less. This deflector can be rotated to target flow to specific areas, but we’re thinking this setup will result in something along the lines of a gyre type system. The new Turbelle Nanostream will be available in two different models. The NanoStreem 6020 is the smallest, and it is a non-controllable pump with a flow rate of 2500l/h (660 USgal./h) at just 4watts of power consumption. The other model in this new offering is the NanoStreem 6040, and besides bringing more flow to the table, this model will be controllable and will have a wider deflector. 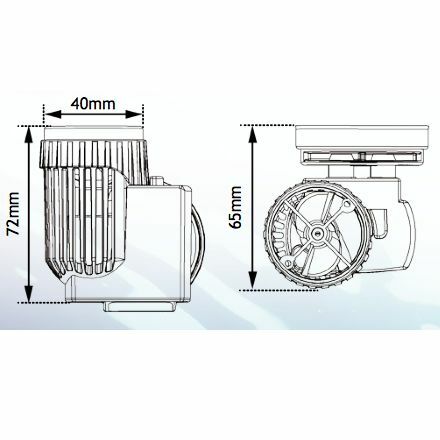 Dubbed the wide flow model, the 6040 has an adjustable flow rate of 200 to 4500l/h (53 to 1190 USgal./h) while consuming no more than 13watts at full bore. The 6040 will be controllable via the Multicontroller 7095, 7096, and 7097 (new model), as well as the Wavecontroller 7092.